Can you spot the learning theorists? Where's Wally Vygotsky? Engage your students with a little crossword fun! 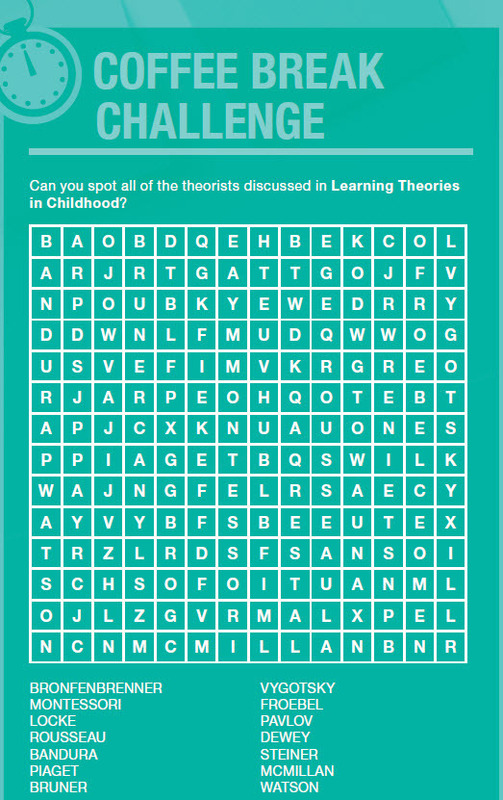 Our Spot the Theorists crossword puzzle is inspired by the learning theorists featured in Learning Theories in Childhood by Colette Gray and Sean MacBlain. Download and share with your students!